The historic Runcorn Millennium Railway Bridge is today celebrating 150 years since it was first opened for traffic. To mark the occasion, its navigation bell has been restored and unveiled today at its new home in the nearby Brindley Theatre. Designed by William Baker, the Millennium Railway Bridge (also known as the Queen Ethelfleda Viaduct) was opened to traffic on 10th October 1868. Thanks to ongoing works in the past decade, the Grade-II listed bridge will be in full service for another 150 years at least. The navigation bell used to sound during fog to warn ships passing through Bridgewater Canal of the bridge’s location, but was removed via helicopter by Network Rail back in May as part of the viaduct’s restoration. 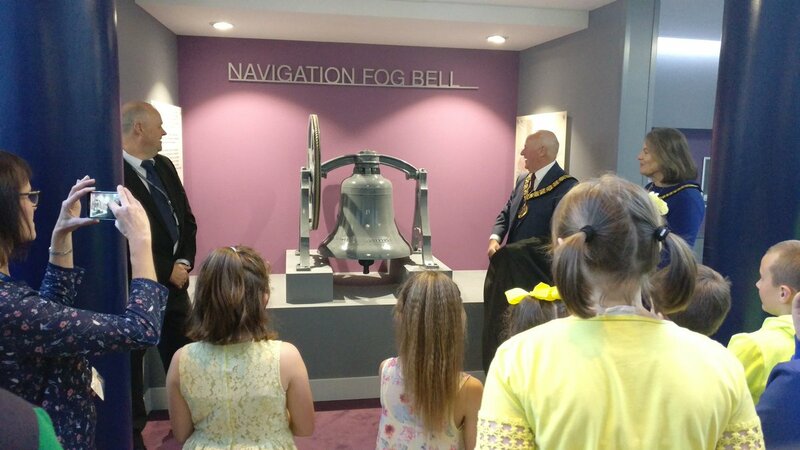 Millbank was proud to attend the unveiling of the navigation bell by Halton Mayor John Bradshaw to mark this occasion. The event included talks from Halton Borough Council and Network Rail highlighting the significance of the bridge to the history of the area, and the importance of the restoration works being undertaken on the national railway network. 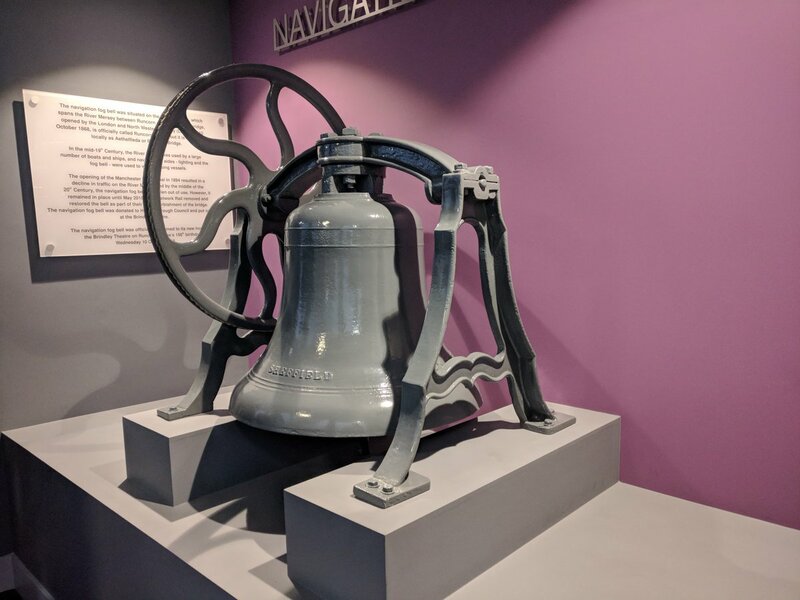 The restored bell has been donated to Halton Borough Council, and will be on display permanently at the Brindley Theatre – itself named after the engineer responsible for the Bridgewater Canal, James Brindley. It’s another piece of the heritage and influence Runcorn and Halton owes to the local engineering industry, which Millbank is proud to support in the modern day.